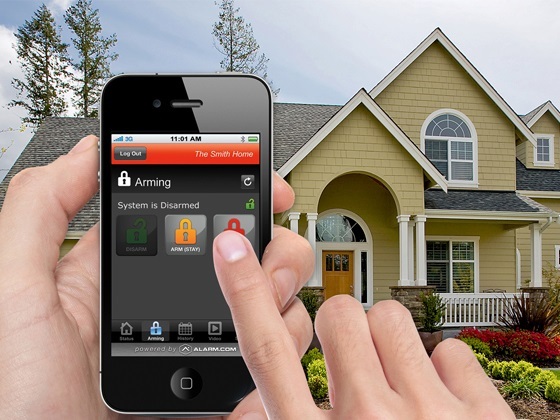 I have been thinking a lot lately about how home security has changed with the "smart" age. Maybe it was growing up in a small East Texas town where doors weren't always locked and everybody knew everybody, but I have never spent a large amount of time thinking about home security or how it has changed...until now. The availability of information through numerous online sources has made our lives less private and more suseptible to intrusion than ever before. Fortunately, this same information is available to protect our privacy as well. We have the tools at our fingertips, literally, to protect our homes and property. Smart security is as thorough as it is easy. As I am not an expert myself, I took to the internet to for a quick look at some of the best-rated home security products available. Take a look...and the next time you walk into a home...smile you are on candid camera.